Some would say that because of social media and other forms of electronic communication that bullying has evolved and reached epidemic proportions. Unfortunately, youth from around the globe as young as 10 years old are committing suicide from student bullying. This past weekend, I’m A Star Foundation’s teen servant leaders presented their 2019 Leader to Leader Summit at Stanton College Preparatory School to develop solutions to crime, bullying and leadership. 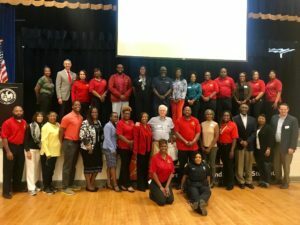 Often recognized as the “next generation of servant leaders,” I’m a Star members led the discussions and engaged a bi-partisan group of city, state and national leaders on the various summit topics. National and local leaders, Duval County’s School Superintendent, City Councilpersons and the media engaged in conversation with the students on solutions and next steps. The Foundation held its first Leader to Leader Summit in 2013, an event where teen organizers developed a strategic plan around creating solutions to student homelessness. Since then, I’m A Star students have raised and donated $126,500 to the Duval County Public Schools Families in Transition Department. I’m A Star Foundation is a volunteer program that transforms middle and high school students into the next generation of servant leaders. 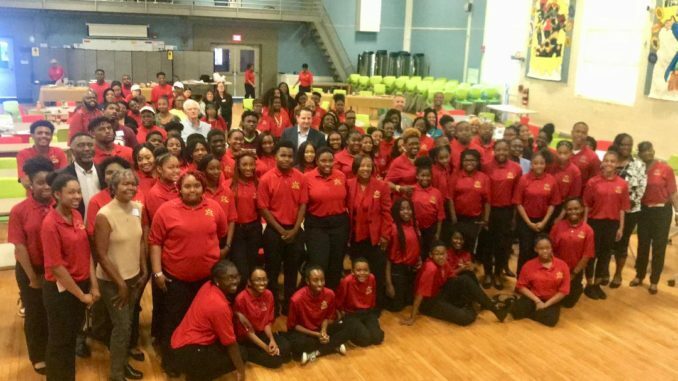 An acronym for “Smart, Talented And Resilient” students, the Foundation draws kids ages 13-18 from schools across Duval County Since its establishment in 2010, the organization has maintained a 100% graduation rate. Founder and Executive Director Betty Seabrook Burney is a former Duval Co. School Board Chairwoman. Shown is I’m A Star Foundation students, national and local community leaders.